The Hubble Space Telescope can produce images at infrared and ultraviolet wavelengths. Combining these images can show more information. 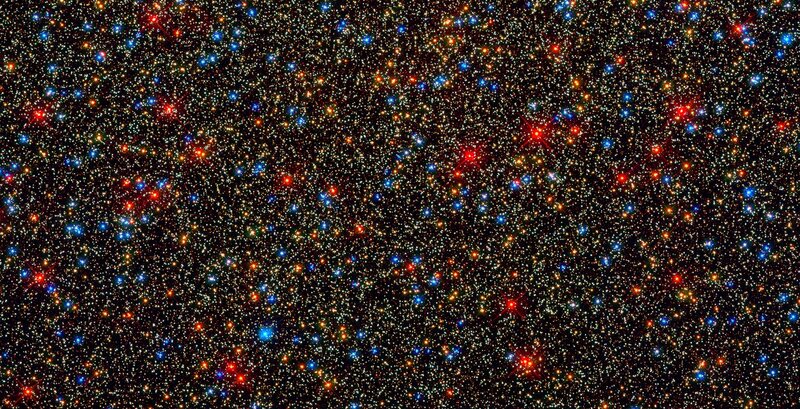 This combined image shows about one hundred thousand stars in the giant globular cluster Omega Centauri. The stars in the infrared image are red and those in the ultraviolet image are blue.